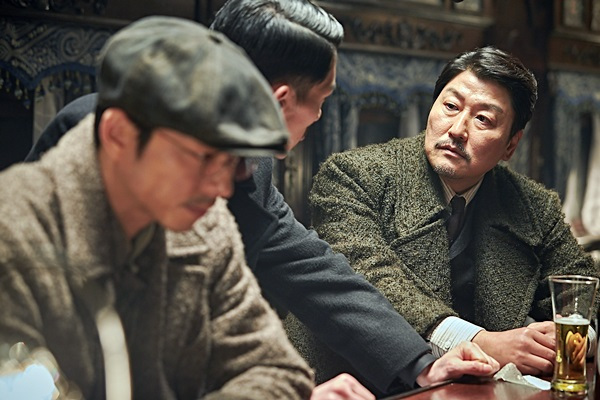 The recent blockbuster “The Age of Shadows” attracted over 6 million moviegoers in the less than two weeks since it opened here, making it the seventh most-watched film of the year in Korea. Over 3.3 million people watched the film in theaters during the Chuseok holiday from Wednesday to Sunday, according to the Korean Film Council on Monday. Starring actors Gong Yoo and Song Kang-ho, the historical thriller follows a group of Korean independence fighters as they attempt to take back the country from Japanese colonial rule in the 1920s. Directed by Kim Ji-won, the film has also been gaining traction abroad. In addition to screening at the 41st annual Toronto International Film Festival this month, it was selected as a contender at the upcoming 89th Academy Awards for best foreign language film. “The Age of Shadows” is currently playing in local theaters.